Our Bulk Cargo Containers are made to provide protection and concealment for larger shipments. Cargo boxes can also make it easier to consolidate smaller loads into a more effective space. 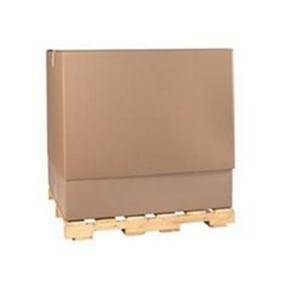 Bulk corrugated cartons are also great for protecting irregularly shaped loads. As a large scale cardboard box supplier, we are able to offer a variety of different types of Bulk Cargo Boxes to meet various load types.